It's week 5 at Sftw and week 12 over at Just Magnolia challenge. The lovely ladies over at Sftw had 2 gorgouse sketches to use. For this one I have used Donna's sketch. 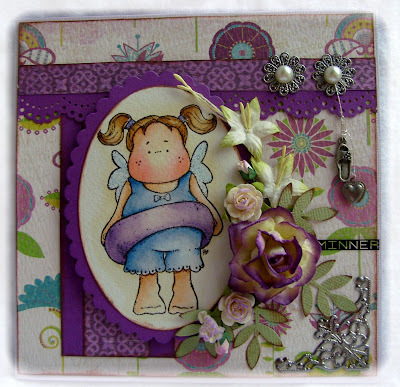 And over at Just Magnolia the challenge was to use charmes at the card! This was perfect for both cards!!!!! Now I have 2 weeks of work and me and my son are going to my mothers house. I will be doing some colouring but not any cards I think. But you'll never know! Så flott kort du har laget;-) Nydelig fargelagt! Beautiful colours and such fabulous detail! ÅÅÅ for et nydelig kort, Tonje:O) Herlige sommer farger. Motivet fra Magnolia er kjempe søtt, og du har fargelagt det fantastisk flott! Blomstene er skjønne. Du har gjort en flott jobb med Donna sin skisse. Takk for at du deltar denne uken hos SFTW. Masse lykke til! 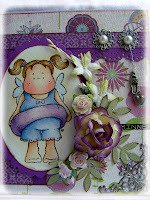 A lovely card Tonje, love the purple and blue you used on Tilda, and it's colored lovely. The papers are gorgeous and I love your flower arrangement and wee charm and the metal corner, fabulous job following my sketch. Wow I love this card so much your colouring of this Tilda is perfect and the papers fit with it so well. Also I think those flowers are stunning and the cute charm is a great finishing touch! 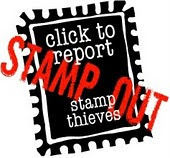 Thank you for joining us at stampin' for the weekend and good luck with both challenges. Wow what a beautiful card Tonje, I love your colouring of sweet Tilda and your floral arrangement is stunning. 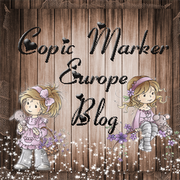 Thank you for joining us again at "Stampin´for the Weekened" and we hope you will play along with us soon. 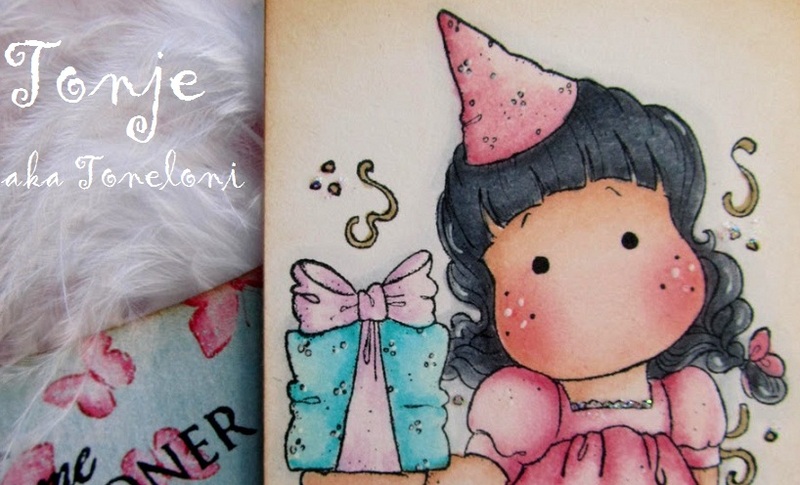 Wow,Tonje, this is a beautiful card! Your colouring is amazing! I love the backing paper and the flowers. The cute charm is a very nice detail. Great take on Donna's sketch! I think this card is gorgeous. Your tilda is beautiful and your colouring precise! Beautiful colours and papers and I love the charm shoe/slipper! Thank you for playing along this week at "Stampin' for the Weekend". We hope you had fun and that you come back again next week! Good Luck. Hei Tonje :) Nok et fabelaktig kort som du har laget! :) Herlig fargevalg og flott dekorert, får det blitt bedre? :) Takk for at du deltar på SFTW sin utfordring! Fortsatt god sommer. Nyydelig kort i herlige farger og lekre detaljer!!! Ååå det var helt fantastisk, nydelige farger!! Sftw #8 ~ Masking for the weekend! Hipp hipp HURRA ~ jeg er så glad/I'm so happy!